Electric radiant heating sales continued to show growth in 2015. WarmlyYours saw significant growth in several product areas, which mirrored the increase of remodeling activity nationally. Along with an increase in consumer activity on the remodeling front, 2015 also saw sizeable increases in housing prices, particularly in urban markets. Despite this uptick in pricing, this year saw sizable increases in the sales of existing houses. In a statement, Yun pointed to several factors which led to the increase in existing sales in the fourth quarter of 2015. “While the carryover of November's delayed transactions into December contributed greatly to the sharp increase, the overall pace taken together indicates sales these last two months maintained the healthy level of activity seen in most of 2015," he said. "Additionally, the prospect of higher mortgage rates in coming months and warm November and December weather allowed more homes to close before the end of the year." This fourth quarter trend toward increased existing home sales is tempered by concerns about increased pricing in major metropolitan markets. Yun addressed this continuing trend of upward housing costs in major urban markets. "Even with slightly cooling demand, the unshakeable trend of inadequate supply in relation to the overall pool of prospective buyers inflicted upward pressure on home prices in several metro areas," he said. "As a result, homeownership continues to be out of reach for a number of qualified buyers in the top job producing, but costliest, parts of the country – especially on the West Coast and parts of the South." The fourth quarter also saw a national trend towards an increase in real residential investment, which includes the investment in new homes as well as the remodeling of existing homes. The fourth quarter consolidated gross sales growth of 6.5 percent was in large part due to a large up-swell in U.S. sales, which increased 8.6 percent. Canadian sales showed their strongest performance of 2015 in the fourth quarter. When compared to a fairly strong fourth quarter in 2014, however, there was a small decline in 2015. While electric floor heating system consolidated gross sales dipped slightly in the fourth quarter, WarmlyYours enjoyed phenomenal growth in other product lines. 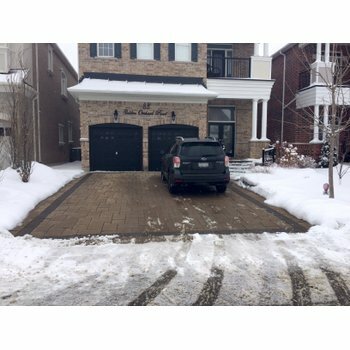 Of particular note was the fourth quarter performance of our outdoor heating products, which include both snow melting systems and roof and gutter deicing systems. This category saw an increase of 68 percent over the last quarter of 2015 which contributed to a consolidated growth of 47.2 percent for the year. Snow melting systems saw an 82. 7 percent increase and roof and gutter deicing products increased by 10.3 percent. Radiant panels were also strong performers for WarmlyYours in the final quarter of 2015. The U.S. sales of radiant panels increased by 101.9 percent which led to a consolidated gross sales increase of 81.3 percent. At WarmlyYours we’re very excited about how the introduction of the Ember™ line of radiant panels in 2015 expands the growth of radiant panels as a whole. The “Other Product” category, which includes items like mirror defoggers and countertop heaters, continued to show growth in the fourth quarter, posting an increase of 18.1 percent. The mirror defoggers in particular showed very robust growth this quarter. In annual sales for the U.S. market, the 2015 numbers are up 3.7 percent when compared to the previous year. U.S. sales bounded back from a slow first quarter and finished the year strong with an 8.6 percent increase in the fourth quarter. Although electric floor heating remains the volume leader of WarmlyYours’s business, the outdoor heating products, like the systems for snow melting and roof and gutter deicing, have taken the lead in terms of sales growth. This segment grew nearly 50 percent throughout the year of 2015. The Canadian market must be viewed through the prism of a relatively strong year in 2014. Naturally the 2015 numbers will show a somewhat downward trend in sales performance when compared to the metric of 2014. By drilling down into the data, important trends begin to emerge which spell out a very bright future for both WarmlyYours and the Canadian market. Canadian sales of TempZone™ cable saw an increase of 108.8 percent throughout the year. There was also a 208 percent increase in SmartStat™ sales for the Canadian market. Snow melting systems continued their upward trajectory in Canada with an increase of 28.3 percent. The floor heating category, including all products within WarmlyYours’s TempZone™ and Environ™ product lines, comprised 66.9 percent of all 2015 sales. The TempZone™ line, which includes TempZone™ cables, Flex Rolls, Easy Mats, among others, continues to be the flagship product line with nearly 87 percent of all gross sales within the floor heating category. The Environ™ line, which includes Easy Mats and Flex Rolls, saw a small decline in sales. The line still constitutes 11 percent of consolidated gross sales in the floor heating category. The outdoor heating products, however, were the breakout performers for 2015. The snow melt and roof and gutter deicing systems racked up an impressive 47.2 percent growth in total sales for 2015. This continues a trend made manifest in 2014, which shows no signs of slowing down. WarmlyYours data clearly indicates that the lion’s share of the radiant heating market for homeowners belongs to floor heating systems. However, there also seems to be a clear and demonstrable trend towards outdoor heating systems. Recent high profile media coverage of snow melting systems during the rash of winter super-storms in late 2015 have only helped inflame the public’s interest. 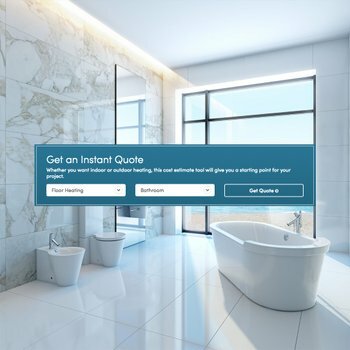 There also seems to be a real interest from consumers regarding other radiant heating products like towel warmers, radiant panels, and mirror defoggers. There are two schools of thought regarding the increase in popularity for these products. The first suggests the furthering participation of a satisfied customer base who moves from radiant floor heating to other radiant products. The second thesis posits that these other products offer an affordable “in” for consumers considering the more involved implementation of a radiant floor heating system. By purchasing a radiant panel or mirror defogger, a consumer can familiarize themselves with radiant heating and make a more informed decision about their heating needs. According to Scott Rosenbaum, manager of technical support and engineering for WarmlyYours, underlayment options are an often overlooked component of the radiant floor heating installation process. 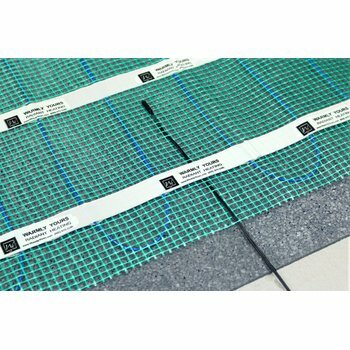 Rosenbaum pointed specifically to the Prodeso™ underfloor membrane, newly available from WarmlyYours, as an effcient and time-saving tool for the installation of a TempZone™ cable system for floor heating. Among many other advantages, such as benefits to waterproofing and load distribution, the membrane also allows the installer to maintain the necessary spacing for optimal cable performance in a fraction of the time that previous systems required. As always, if customers need installation help, the WarmlyYours technical support team is available 24/7 to provide assistance. The year 2015 marked the introduction of several new products to the already expansive portfolio of WarmlyYours. WarmlyYours plans to announce many other new products throughout the upcoming year. Make sure to regularly check our website for updates. Some projections from the LIRA are predicting an acceleration of spending growth well into the year. The LIRA predicts annual spending growth to increase from 4.3 percent in the first quarter to 7.6 percent in the third quarter, which would surpass the previous peak in this metric from 2006. With these increases in remodeling activity, WarmlyYours is confident that we will continue to see significant increases in our outdoor products, radiant panels, towel warmers, and other radiant products. 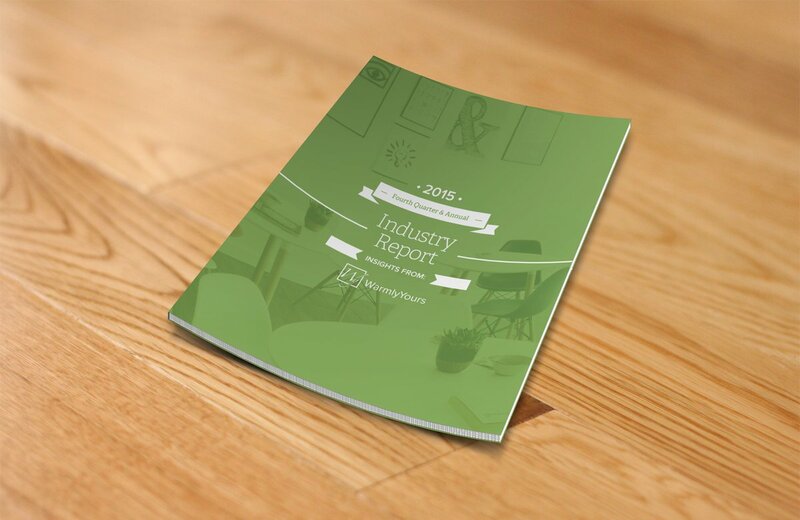 Perhaps more significantly, we also expect to see a significant increase in our floor heating system sales in both of our primary product lines, TempZone™ and Environ™.